This crunchy, vegan Stovetop Cinnamon Pecan Granola recipe comes together in about 10 minutes, is full of nutritious ingredients, and is the BEST granola that you will ever taste! 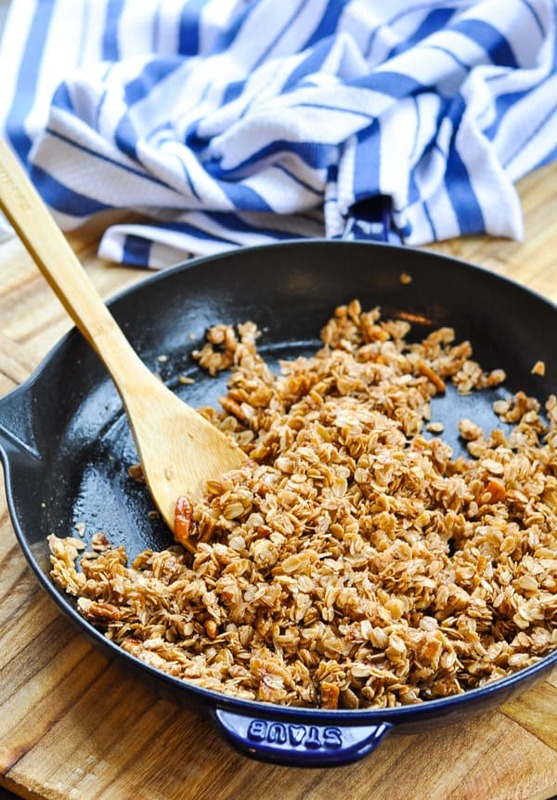 This crunchy, vegan Stovetop Cinnamon Pecan Granola recipe comes together in about 10 minutes, is full of healthy ingredients, and is the BEST granola that you will ever taste! Best of all, it’s made in a skillet — no oven necessary! I have shared other tasty granola recipes on here before, but I have to admit…this crunchy granola recipe is my personal favorite! 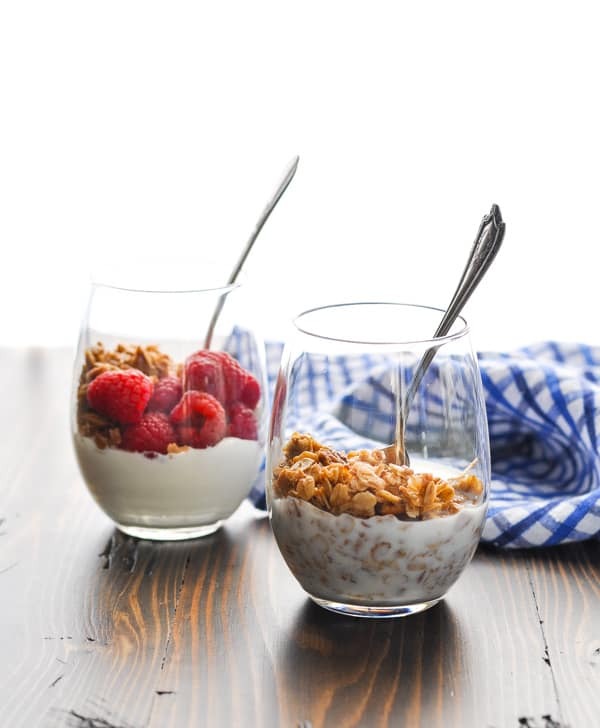 I like the ease of the slow cooker granola when I’m hanging around the house and I want a healthy option. 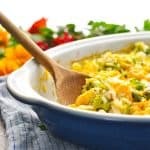 But this skillet version is so fast, that it’s perfect for those days when I won’t be near my Crock Pot for an afternoon of stirring. Plus, with warmer weather on the horizon, I wanted to create a recipe that wouldn’t require me to turn on my oven and heat up my kitchen like a traditional granola recipe demands. 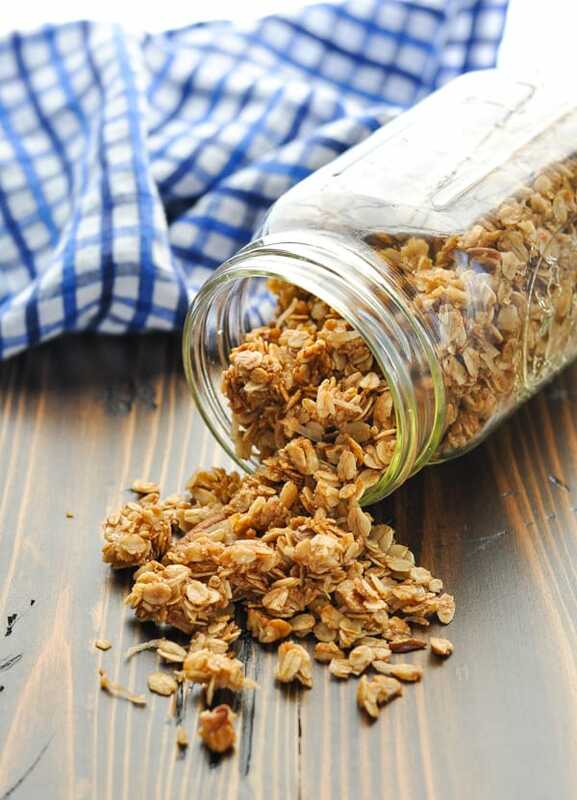 How do you make homemade granola? First, melt coconut oil in a large skillet. Add maple syrup, pecans, brown sugar, cinnamon and salt. Stir for 2 minutes. Add coconut and oats, then continue stirring for 5-7 more minutes (or until the oats are toasted). Be careful that you don’t leave the skillet unattended at this point, or the nuts may burn! Once the oats and nuts are toasted, spread the granola on a parchment-lined baking sheet (or on a large cutting board). I like to use a wooden spoon or a spatula to gently press the granola firmly onto the baking sheet. This helps it clump together. The granola will become crunchy as it cools! How do you make a homemade granola recipe crunchy? So, how do you make those delicious granola clusters?! The maple syrup and oil mixture help the oats stick together. By pressing the oat mixture into clumps with a wooden spoon or spatula after toasting it in the skillet, you’ll score those coveted crunchy clusters that we all love best! 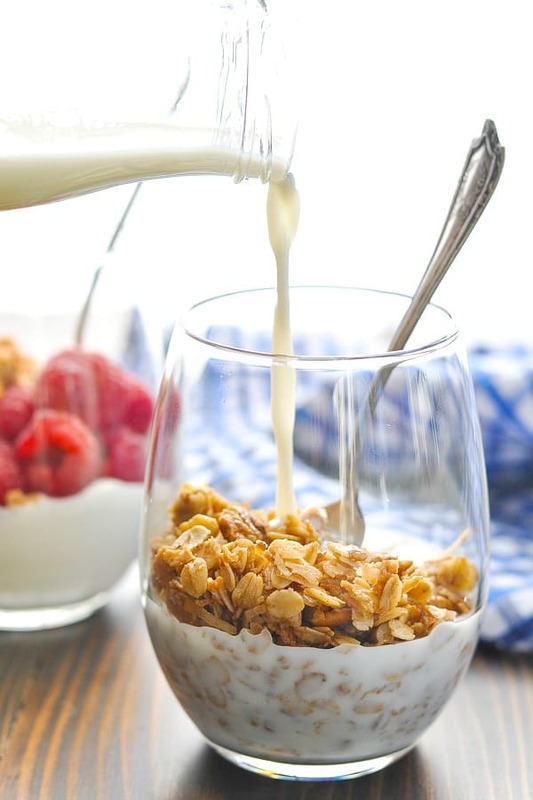 This easy granola recipe is perfect when consumed by the handful — like a snack mix! It’s also delicious as a cereal with milk in the morning, or on top of a hot bowl of oatmeal. 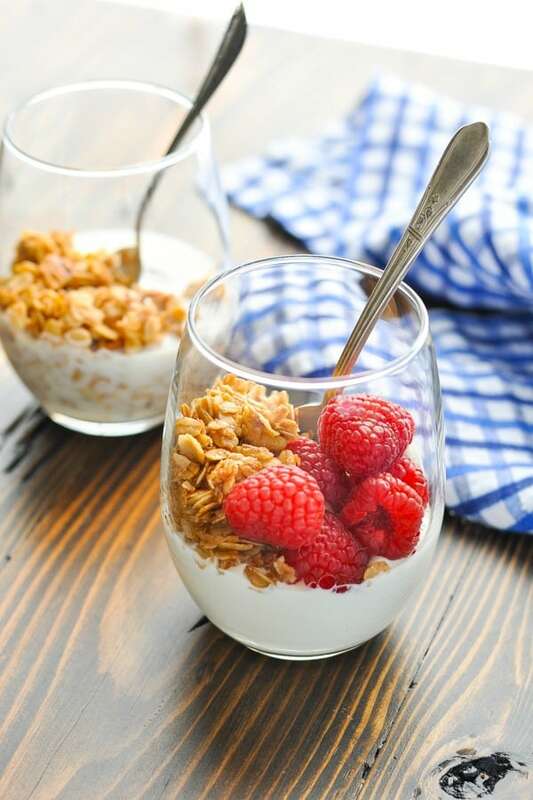 For snack, try topping your yogurt with a few spoonfuls of granola and some fresh berries. 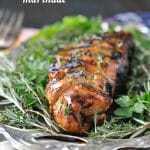 It’s a satisfying combination of protein, carbs, and healthy fats! Ready for dessert? The granola adds a delicious crunch when sprinkled on top of ice cream! This granola recipe is made with maple syrup, but you can substitute with honey if you’re not looking for a vegan granola recipe. I’ve used pecans here, but you can swap them out for your favorite nut. Try walnuts, pistachios, almonds or peanuts! We prefer the sweet taste of the sweetened shredded coconut, but unsweetened coconut also works. 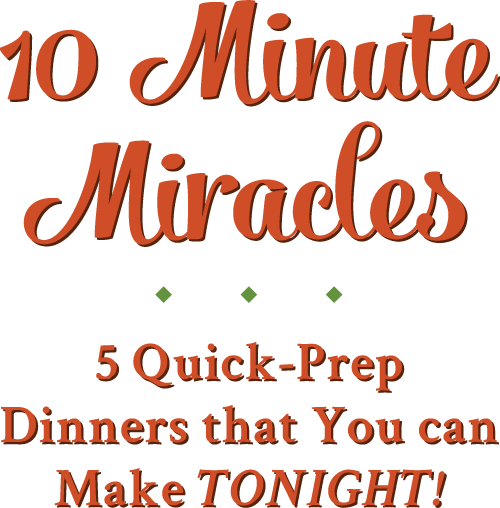 I used coconut oil here, but you can also use canola oil or avocado oil. 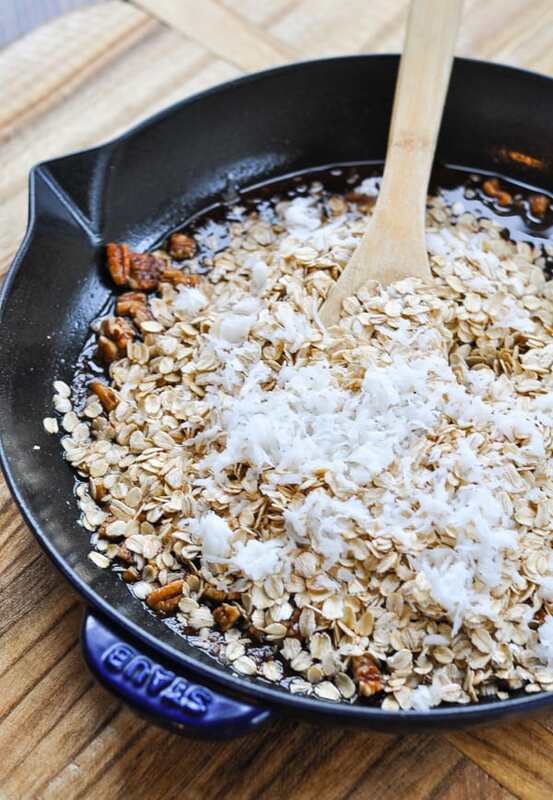 Melt coconut oil in a large skillet over medium-low heat. 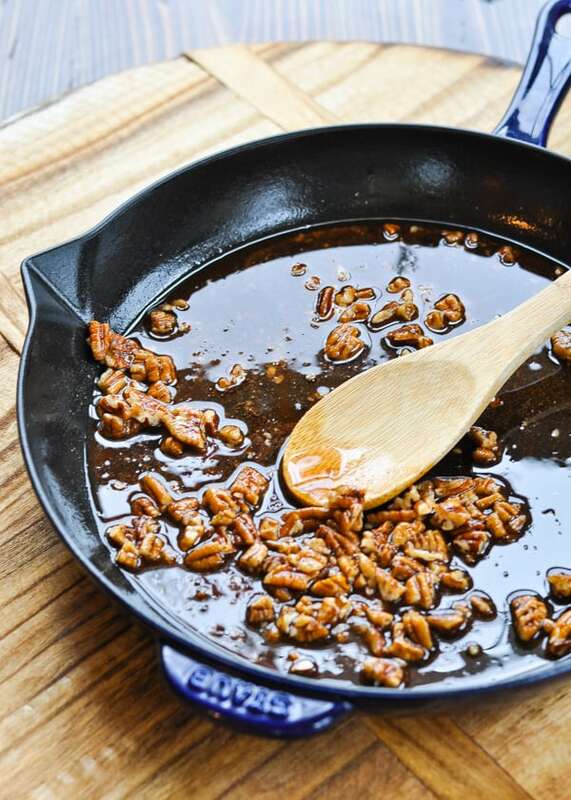 Add syrup, pecans, brown sugar, cinnamon, and salt to the skillet. Stir for about 2 minutes, and then add the coconut and the oats. Continue stirring for about 5-7 minutes, or until the oats and coconut are toasted and golden brown. The oats will not be crunchy at this point -- they will firm up and become crunchy as they cool. 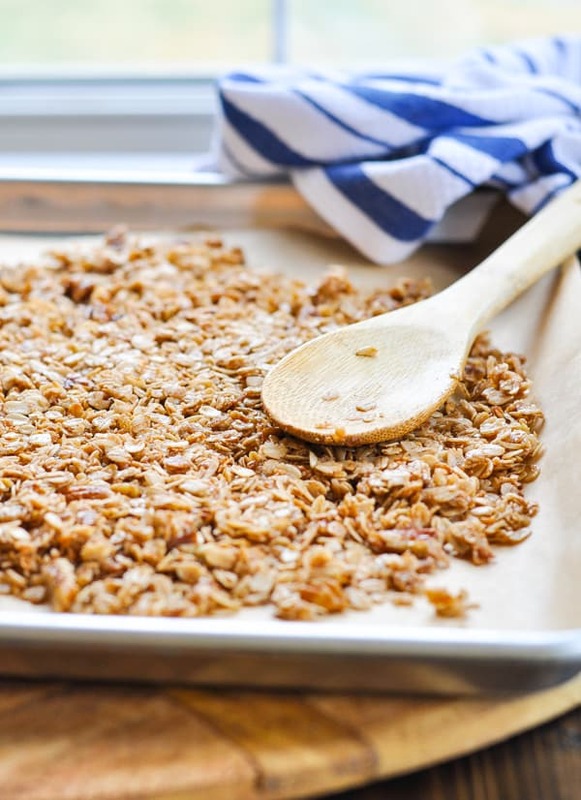 Transfer granola to a parchment-lined baking sheet or a large cutting board to cool. I like to use the back of a large spoon or spatula to gently press the warm granola firmly onto the baking sheet. This helps it clump together as it cools and hardens. This granola recipe is made with maple syrup, but you can substitute with honey if you're not looking for a vegan granola recipe. 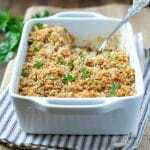 This recipe was originally published in March, 2015. It was updated in March, 2019. This sounds amazing! 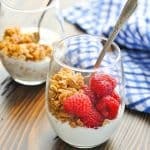 I usually grab for the kids granola cereal to top off my yogurt/fruit for the day but I can’t wait to treat myself and make some of this – YUM! I was just saying that with all the cooking I do I’ve never made granola! 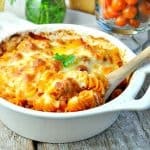 I think I have everything for this recipe in my house, I’m going to give it a try! I have been looking for an easy granola recipe! This would be great with yogurt! 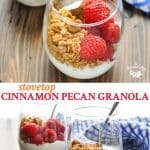 I love an easy granola recipe! The flavors of pecan and coconut sound so good together. 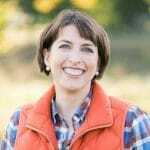 Thanks, Rachel! 🙂 They’re definitely the perfect team!